As the first month of 2019 draws to a close, we look back on the previous year and all of the events, accessions, and projects that took place here in Special Collections and Archives. 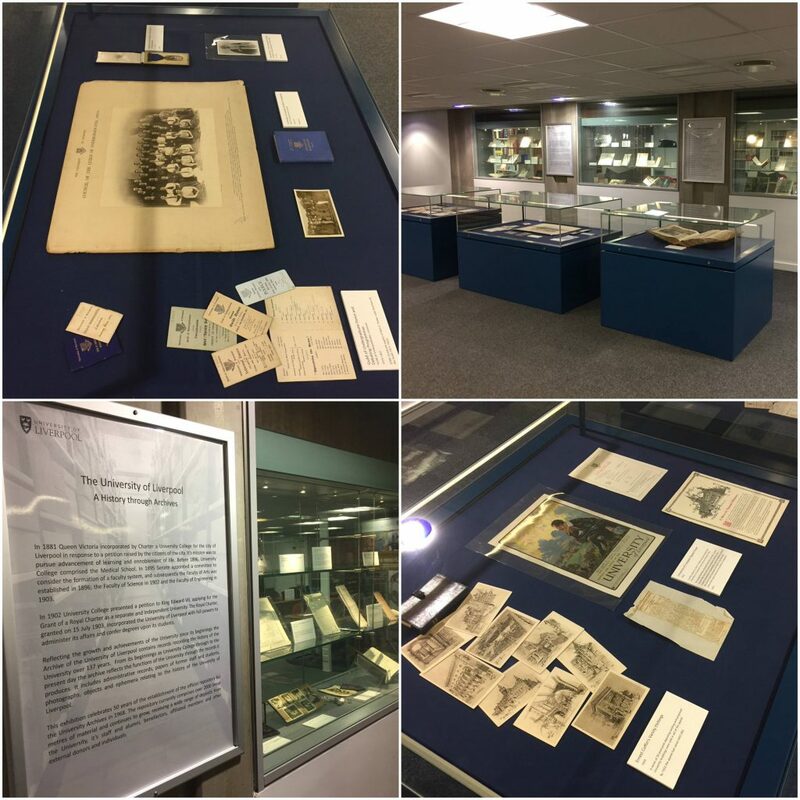 We welcomed in the New Year in with a new exhibition, which was titled The University of Liverpool: A History through Archives. This exhibition celebrated 50 years since establishment in 1968 of the official repository for the University Archives. The repository’s holdings currently comprise over 2000 linear meters of material and continue to grow. The University of Liverpool: A History through Archives. The Gypsy Lore Society collections were enhanced with the accession of a collection of papers formerly belonging to Helen Murray, secretary to philologist and GLS member Bernard Gilliat-Smith (1883-1974).The collection largely comprises correspondence and photographs, including letters from notable GLS members such as Dora Yates, R. A. Scott Macfie and Henry James Francis. 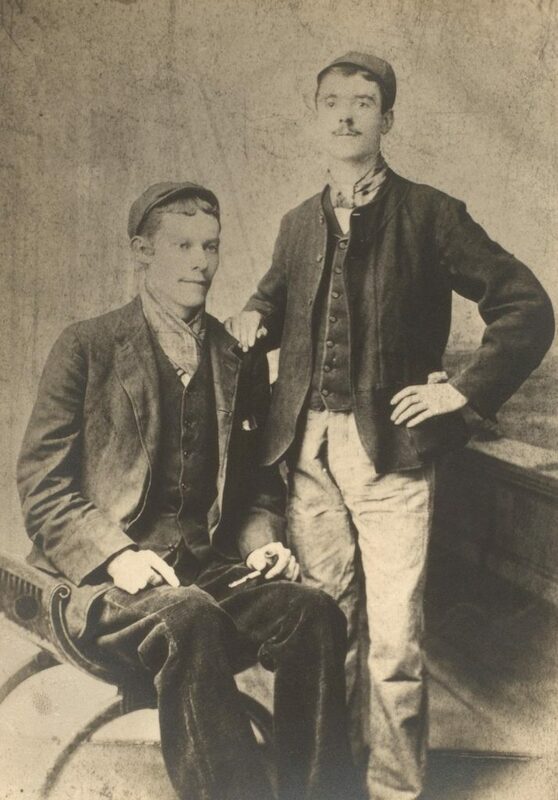 Macfie (left) is pictured alongside a fellow employee from Messrs Macfie & Sons, the sugar refinery business which had been run by his family in Liverpool since 1838. March was a busy month! Katy Hooper, Special Collections Librarian, attended the opening of the exhibition Mondes Tsiganes (Gypsy Worlds) at the Musée national de l’histoire de l’immigration, Paris, in order to see material from the Scott Macfie collections displayed; we celebrated World Poetry Day with two posts, the first also celebrating women poets in connection to International Women’s Day, and the second celebrating Small Press Poetry and the 20th C Liverpool poetry scene. We also celebrated World Book Day on the University of Liverpool Instagram. 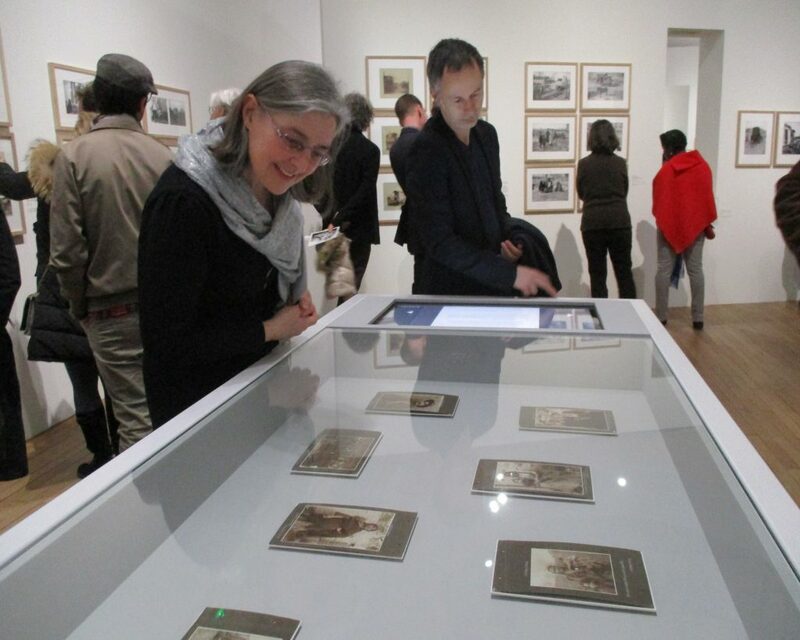 Photographs and a digital version of R. A. Scott Macfie’s photo album on display in Paris. We began a new series of events displaying Special Collections and Archives ‘Treasures’. The series started with a display of medieval books, including the beautiful Nuremberg Chronicle (1493). To find out more, see our new blog post! 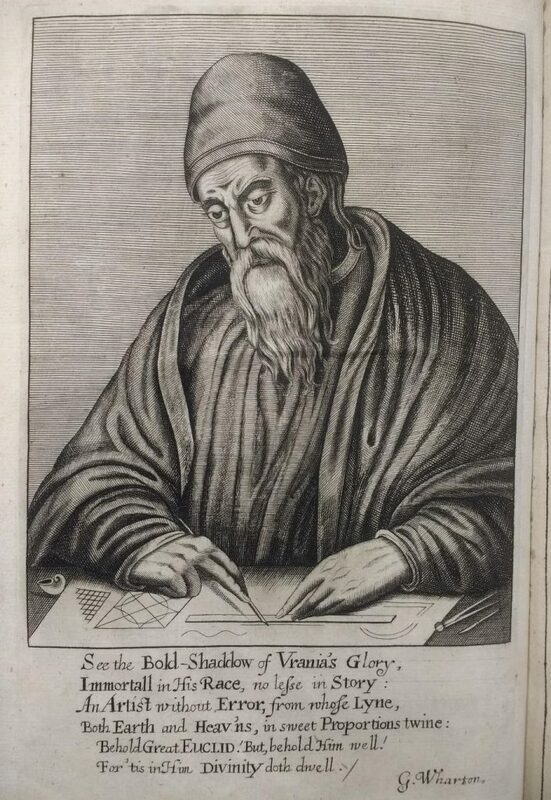 Another first in April was the launch of the LivUniSCA twitter account, which has grown to have 299 followers to date. The new SC&A exhibition Puzzles, Poetry and Playground Games debuted, which displayed games and pastimes, for children and adults, from the 18th-20th centuries. 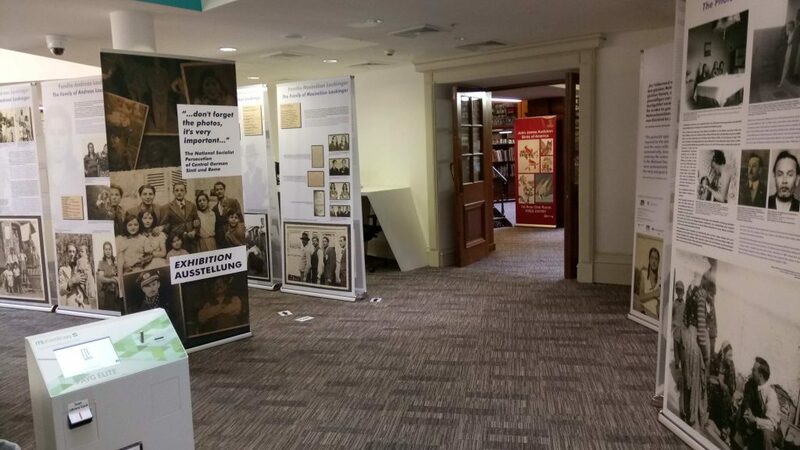 The exhibition “…don’t forget the photos, it’s very important…” The National Socialist Persecution of Central German Sinti and Roma featuring material from the Gypsy Lore Society Collections made its well received return to Liverpool in the Central Library. The Harold Cohen Library holds the Mathematics texts for the University, so it was fitting that the ‘Seeing Euclid’ exhibition was on display there during June and July. We also welcomed many prospective students and their family and friends for the first Undergraduate open day of the year. SC&A was awarded Archives Accreditation, the UK quality standard which recognises good performance in all areas of archive service delivery, and is awarded by a Committee representing the entire archive sector. We also welcomed the Society for the Social History of Medicine 2018 Conference delegates to view some of the medical texts held here in the collections. We celebrated World Photo Day by picking our favourites from the collections, including the fantastic below photograph from the Cunard Archive. Niamh Delaney, Assistant Special Collections Librarian, was awarded a bursary to attend the Montefiascone Conservation Project in Italy, where she spent a week cataloguing books held in the collections there. 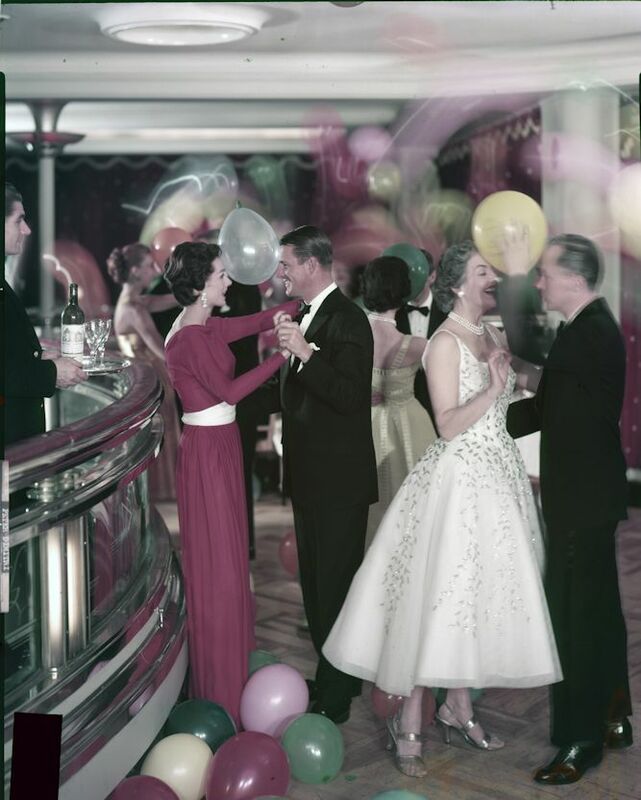 Dance aboard the RMS Queen Mary, from the Cunard Archive. The 31st of July also marks the end of the academic year, so in August we are busy totting up the total number of visitors, retrievals, and enquiries we answered throughout the previous year. Between 1st August 2017 and 31st July 2018, we retrieved 5332 items from the stores, welcomed 1107 visitors and readers, and received 1558 email and 210 phone call enquiries! While the hustle and bustle of the first 2018-19 academic teaching semester began, staff changes were happening in SC&A. We said goodbye to Graduate Library Assistant Michaela Garland, who was heading for the Master of Archives and Records Management course, and we welcomed Caitlin Fleming into the same post; Cunard Archivist Sian Wilks gave birth to a healthy baby boy, Dylan Derek Matthews, and Beth Williams began her Maternity cover of the Cunard Archivist post; and finally we said goodbye to the amazing Andy Sawyer, who retired from the post of Science Fiction Librarian which he held for 25 years. Third year English student Sophie Craven began her SOTA300 work experience placement cataloguing the Literary Annuals. The annuals are currently featuring in our new Special Collections and Archives exhibition, Behind the Scenes: Student encounters with Special Collections and Archives. We also began the A-Z of books blog series with Almost an Alphabet; we post each teaching week during semester to demystify some of the specialist words we use in cataloguing our printed books. October was all about the Rathbone Papers and Library; firstly, the Special Collections and Archives Exhibition titled ‘A gift from Greenbank’: reconstructing the Rathbone library was launched, whilst some of the Eleanor Rathbone papers travelled to the other side of campus at the Victoria Gallery for the exhibition Eleanor Rathbone – An Independant Woman. 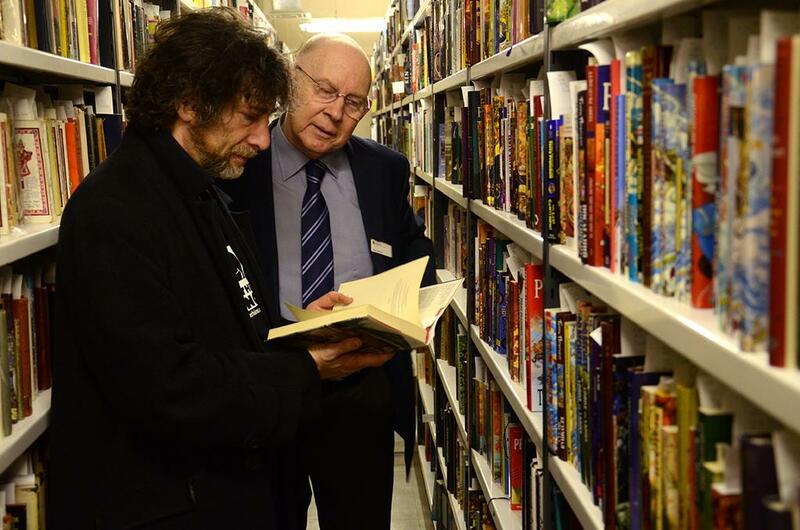 We also hosted a free Science Fiction books event to pass on duplicates from the collections to loving homes, and the next ‘Treasures’ event, ‘Tales from the University Archives’, took place. November was events month! Special Collections and Archives hosted a celebration event for the award of Archives Accreditation, at which President of the Archives and Records Association (ARA) Dr Alex Buchanan presented Vice Chancellor of the University of Liverpool Dame Professor Janet Beer with the official certificate (and, there was cake!). Sticking with the theme of archives, University Archivist Jo Klett and Archives Cataloguer Josette Reeve’s hard work on EMu (Collection Management System) became accessible to users via the new and updated archives catalogue. 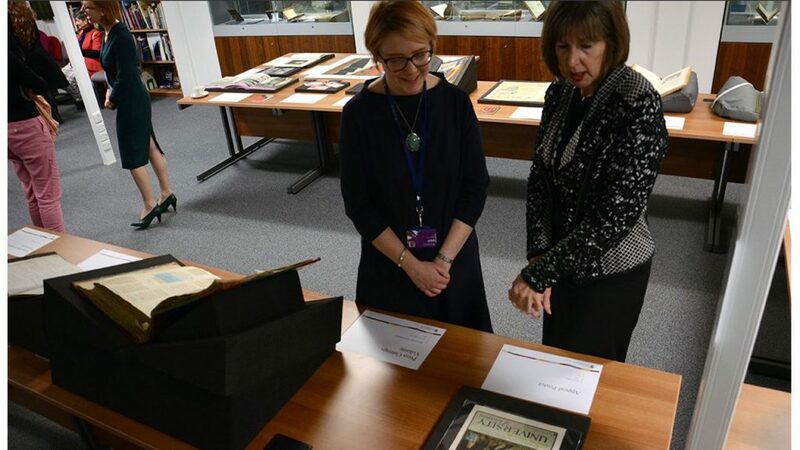 Head of Special Collections and Archives Jenny Higham introduced Dame Professor Janet Beer to the collections at the Archives Accreditation event. Other events included: Jenny Higham was welcomed by the Liverpool Nautical Research Society at the Athenaeum for a talk on the Cunard Archive; the ‘Treasures’ series continued with a fascinating display of medical texts, and Niamh Delaney (Special Collections Assistant Librarian) and Robyn Orr (Library Assistant) hosted a KnowHow session on using Special Collections and Archives material in research. Lastly, to mark the centenary of Armistice Day, the ‘This Week’s War’ blog posts were completed with a final overview post by Caitlin Fleming. We received a new accession to be added to the Science Fiction collections in the form of the library of Brian Aldiss. We wrapped up the year by getting festive in collaboration with the Sydney Jones Library team: images provided by SCA were displayed alongside the Christmas themed books, including this idyllic snow scene. Alongside the Cunard Archive we hold a range of complementary material donated by individuals, many of whom have links to the company. 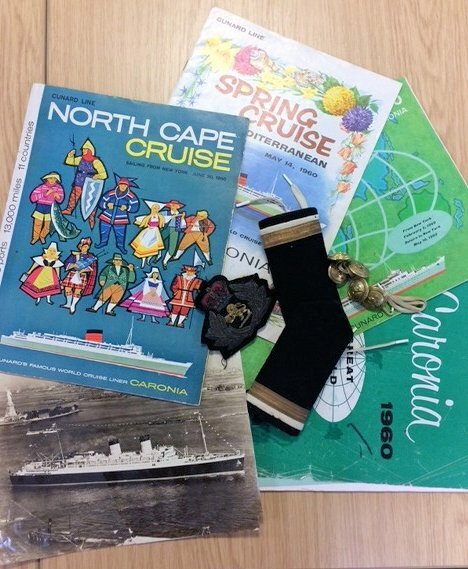 It is often these materials that best reflect the day to day activities of travelling by Cunard and of the experiences of the people involved. One of the most recent additions to the Associated Deposits series is a donation from ex-Cunard Assistant Purser Robin Almond. On 1st January 1957 the 17 year old Robin Almond from Ainsdale in Lancashire joined the Merchant Navy. Robin started as a Cadet Purser with Elder Dempster Line before, 11 months later, taking up a shore based position as a First Class Reservations Clerk with Union Castle Line. 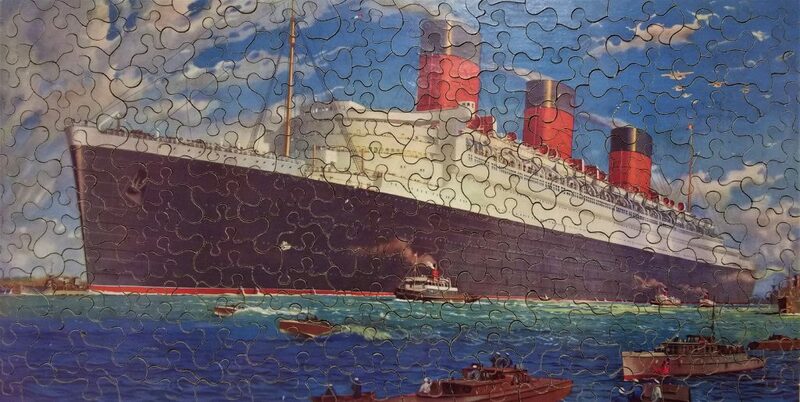 In April 1959 he secured a position as an Assistant Purser with Cunard Line, and in the next three and a half years sailed on the Mauretania, Queen Mary, Caronia, and Queen Elizabeth. 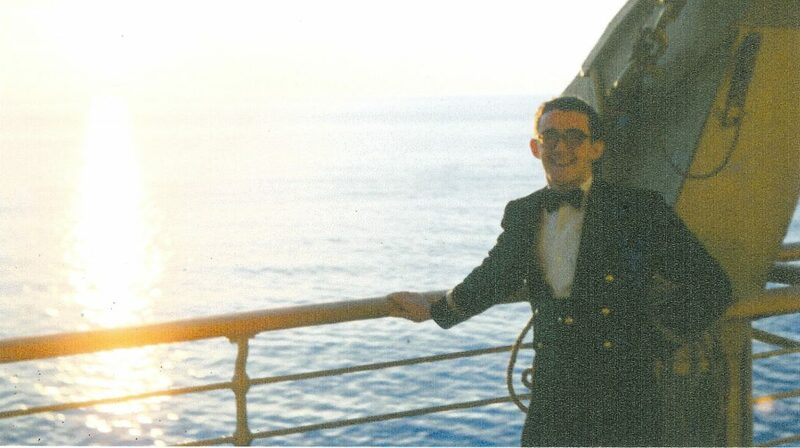 As a young man sailing the globe on world famous cruise liners, Robin has many a tale to tell. He has been kind enough to share his story with us. Donating extracts from his diaries as well as memorabilia and photographs collected over his years with Cunard to the archive. The full catalogue can be viewed online by searching for the reference number D1183. 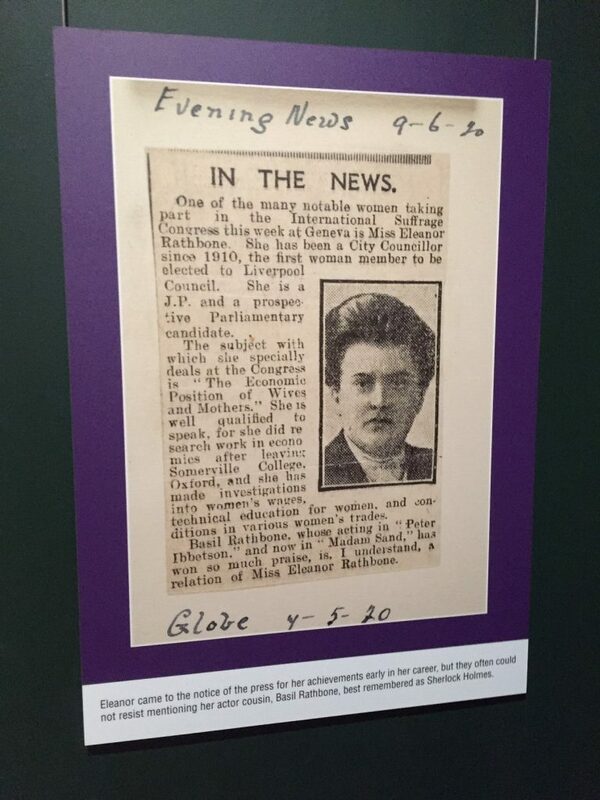 This past weekend welcomed the launch of the exhibition ‘Eleanor Rathbone – An Independent Woman: Suffragist, Politician & Social Reformer‘ at the Victoria Gallery and Museum, University of Liverpool. This exhibition is drawn from the extensive Rathbone Papers held here in Special Collections and Archives. RPXIV.3.96. Eleanor Rathbone in 1910. Eleanor Rathbone (1872 – 1946) was one of the most remarkable British women of the 20th century. Born into a prominent Liverpool family, she spent her career fighting against injustices and trying to make life better for those in need. This new exhibition uses documents from Eleanor’s own archive to tell the story of her life as a Suffragist, politician and ground-breaking social reformer. Her portrait by Sir James Gunn, which usually hangs in Portcullis House, Westminster, is on display in Liverpool for the first time as part of the exhibition. Eleanor joined the Liverpool Women’s Suffrage Society in 1896 and was at the forefront of the national suffrage movement. Her research on the working conditions at Liverpool Docks and its impact on families started a life-long campaign for a family allowance. Eleanor was elected Councillor for Liverpool’s Granby Ward in 1909, standing as an Independent rather than aligning with a political party. She held her seat for twenty-six years. In 1929 Eleanor was elected MP for the Combined English Universities, again standing as an Independent. During the Spanish Civil War and Second World War she worked passionately on behalf of refugees. Just months before her death in 1946, after decades of campaigning, the Family Allowances Act was passed. The exhibition is open to view Tuesday-Saturday 10am-5pm, Victoria Gallery & Museum, Ashton Street, Liverpool L69 3DR. For general enquiries on visiting the Victoria Gallery and Museum, telephone 0151 794 2348 or email vgmrecep@liv.ac.uk. For further information about the exhibition contact Dr Amanda Draper, Curator of Art & Exhibitions at amanda.draper@liverpool.ac.uk. For enquiries regarding the Rathbone papers or to book an appointment, please contact scastaff@liverpool.ac.uk. 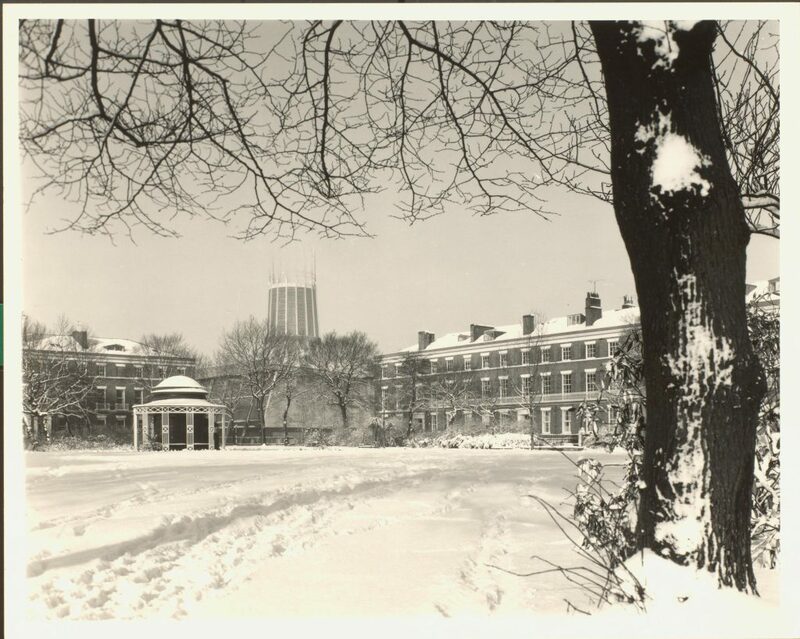 As part of the 2015 Explore Your Archive campaign, this post delves into the University Archive to focus on the formative years of the University of Liverpool. 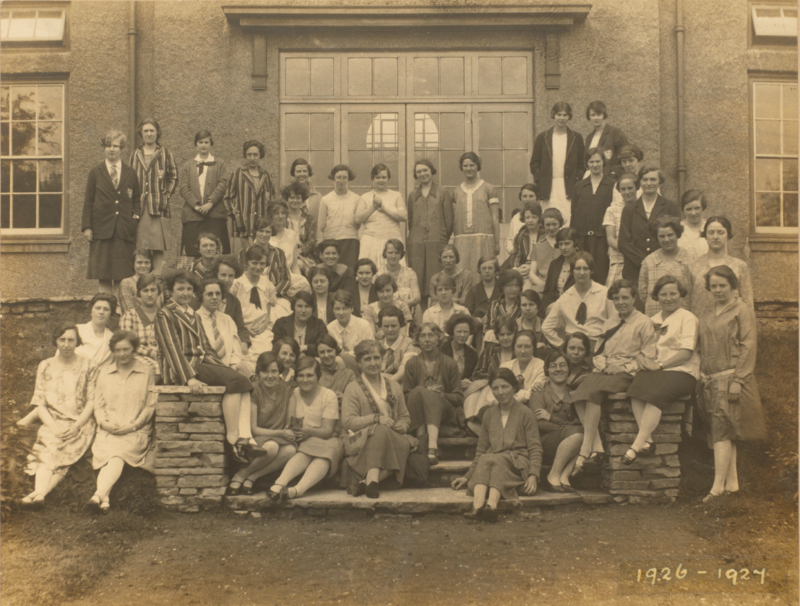 In particular, we examine a series of records documenting the experiences of the earliest women students and staff to enter higher education here during the late nineteenth and early twentieth centuries. The University of Liverpool was part of the vanguard for progressive gender equality in nineteenth century higher education, and the evidence is available in the University Archive. Provisions for female education, hitherto sparsely availably, were incorporated in the federal Victoria University’s Charter from the beginning. Established in 1881, the federal University from which Liverpool would later emerge admitted both male and female students from its opening session in 1882. In his comprehensive history of the University, Thomas Kelly remarks on the “important and surprising feature [of] the high proportion of female students’, being about two-fifths of the total number of day students in the first session, and over half in the second and third sessions (1882-4)”. Liverpool obtained its Charter as an independent provincial university in 1903. Convocation was carried over from the original Charter, but the education of women was now extended to all faculties, without the previous exclusion from the Faculty of Medicine. The first female medical student was Phoebe Mildred Powell from Knotty Ash, who is listed in the Register of Undergraduates as matriculating on October 27 1905, aged 19. 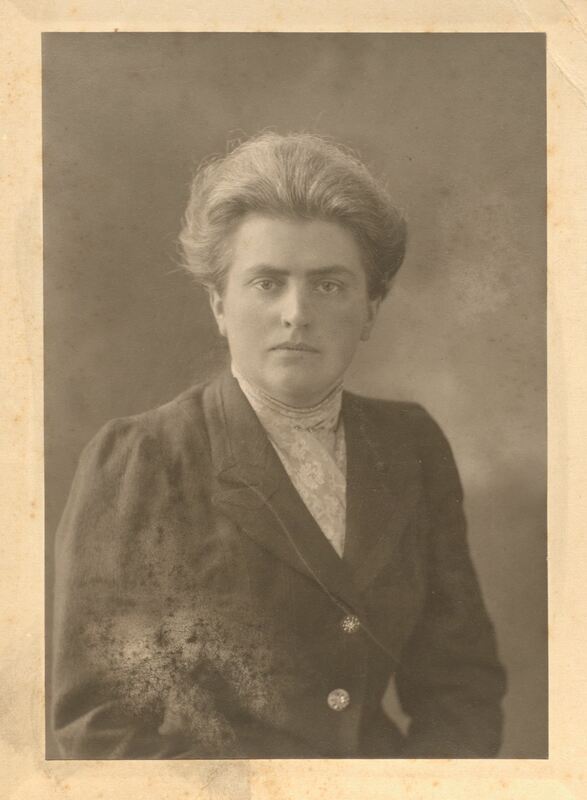 After completing her initial studies in 1911, she became a Doctor of Medicine in 1912. The amended Charter of 1903 also confirmed that women were not only eligible to take up any place as students, but also as members of staff. The first female staff members were Miss S. Dorothea Pease, appointed Mistress of Method in 1899, and her successor in 1902, Miss C. C. Graveson. Miss Pease was also the Warden of University Hall from 1899 to 1900. Although early provision of student residences at Liverpool was minimal, one of the earliest available Halls was in fact a residence for female students. University Hall – initially home to just five residents when opened in 1899 – was originally situated on Edge Lane, but was relocated in 1904 to nearby Holly Road, Fairfield. Within the Archive is a collection of materials pertaining to the Hall, including publications from the students’ University Hall Association, plans for building redevelopments, correspondence regarding operations and finance, student membership of the Association, Committee Minutes and – most interestingly – the press coverage of the Hall’s building extension in 1927. Extension plans for the Hall came to fruition in November 1927, with the extension being officially opened by Sir Oliver and Lady Lodge on 11 November. Photographs from the occasion held in the University Archive show Sir Oliver being presented with a Louis XV snuffbox by MP and former Treasurer of the University Hugh Rathbone, and Miss Emma Holt, one of the many female benefactors of the scheme. 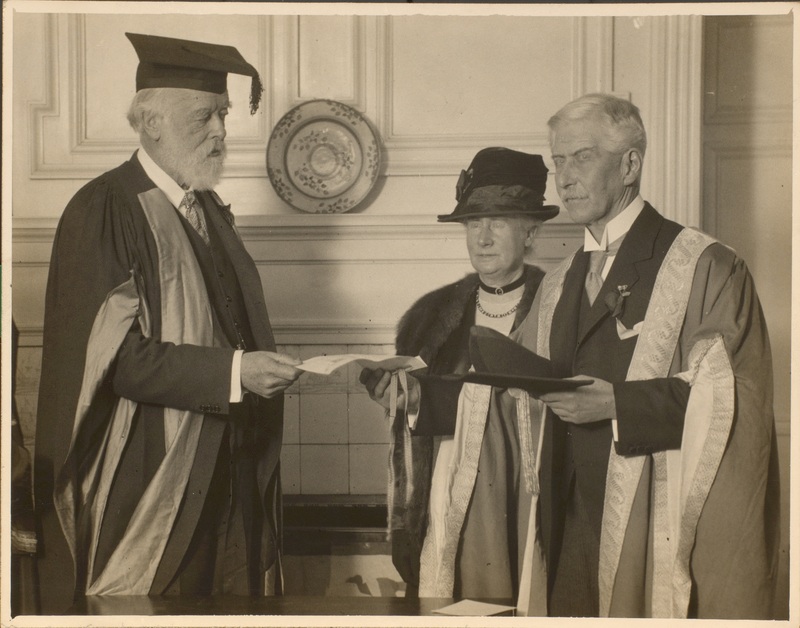 Sir Oliver Lodge at the 1927 University House extension unvieling. (Archive reference P8/4). This archive comprises an array of record types, formats, ages and topics. A little exploration can take you a long way into history, be that history institutional, cultural, social or personal. Here we have explored a mere snippet of those histories documented in the University Archive. More information about the University Archive and its arrangement can be found online at the SC&A website. What might you discover? Kelly, Thomas. For Advancement of Learning. The University of Liverpool 1881-1981. Liverpool: Liverpool University Press (p. 58). Archive reference P8/6 (p. 9). Archive reference P8/6 (p. 7). Enter your email address to follow us and see all new posts by email.